THE BLACK SQUARE Dah … Dah … Darrh! What would you think of a painting that was just a square of black? Would it thrill you or would it cause you to throw your hands up in horror and hopelessness at the state of painting? Is it the kind of art that makes you say, ‘I/my 6-year-old could do better than that …’? A square of black was the centrepiece of the recent Malevich exhibition at Tate Modern – and it was absolutely thrilling to stand before and behold! 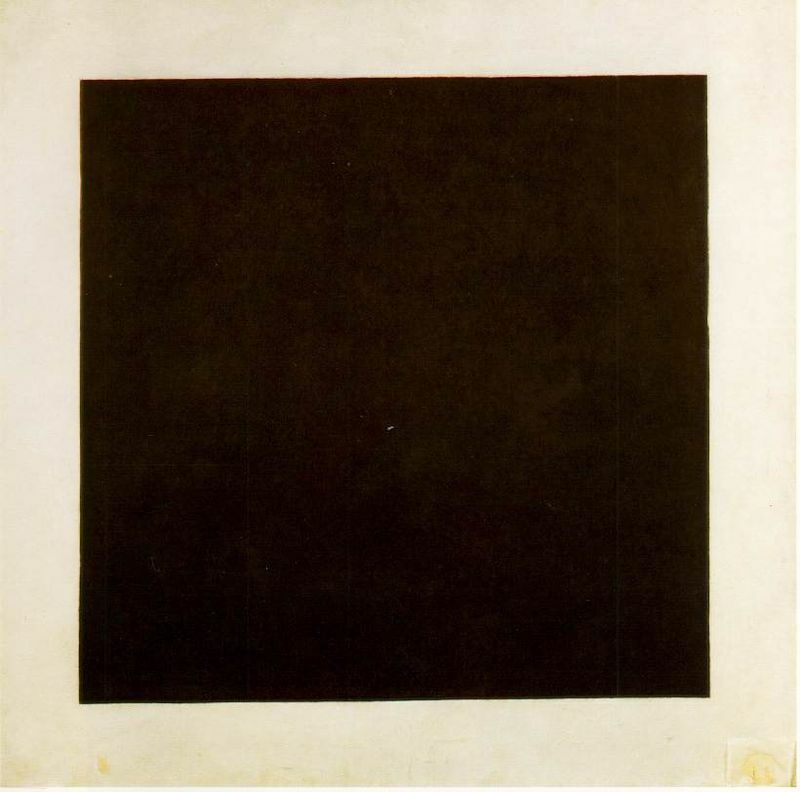 This, the first black square ever to be produced in the history of painting. The artist is Kazimir Malevich, a Russian born in Kiev in 1879. 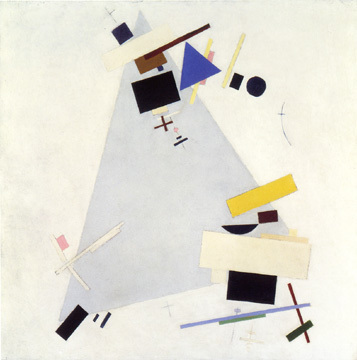 The date of the work, entitled ‘Black Square,’ is 1913. 1913!! This is before the outbreak of WWI! This is 101 years ago! This Black square was way, way ahead of its time. Yes, the Cubists and the Futurists were shocking the world with their new art movements, and Matisse, Chagall and de Chirico were doing their thing and the gorgeous Kandinsky was on his way to abstraction, but not there yet … but NOBODY, NOBODY was painting plain squares of anything, let alone black. Being the Art Historian that I am, I believe all art needs to be viewed in context. You don’t have to like the artwork to appreciate its significance. Where would Elvis or The Beatles be if they appeared now, and would The Beatles have appeared at all if Elvis had never existed? There are certain geniuses who it is impossible ever to imagine not being well received as such, whatever époque they graced – Michelangelo, Shakespeare, Mozart – but can we know for sure? Malevich, being the bonkers individual he was, didn’t actually attribute the painting to the year in which he created it, but to the year in which the concept first occurred to him. (I rather like that, maybe I’ll start dating my paintings from the year of conception …). 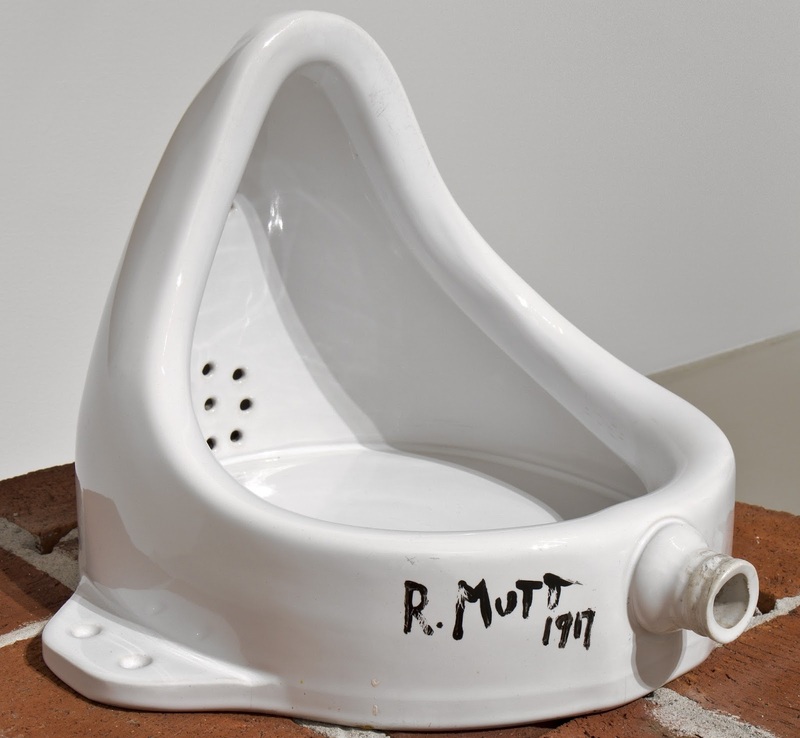 But even with ‘Black Square’ dated at 1915 (the year the painting physically came into being) it is still leaps and bounds ahead of its peers – it will be another 2 years before the world is rocked by Duchamp’s ‘Fountain’*. He wanted to paint FEELINGS … and perhaps he chose Black because it is a colour which hints at so many different feelings. It is both beginning and end, positive and negative, good luck and bad luck. It speaks of seduction but also of oppression, of protection but also of threat, of sophisticated wealth but also of self-effacing abstinence, of high fashion but also of austere humility. Black represents the unknown, and that which develops from the unknown: mysterious shadowings, the possibility of danger and the enticement of excitement. … but in the corner, a glimmer of the radical Malevich remains … a signature in the form of a tiny black square. *Full blown Abstract Expressionism was not to evolve until after a 2nd WW. Next Post YOU GOTTA LOVE THE GREY! Fascinating – and your joy at his work shines through. I remember skipping through Suprematism and Constructivism together at university and so I have always rather blurred their intentions. So it’s good to be reminded that Malevich wanted to explore feelings not things, which so-many of the post-Cubists did. That black must have been astonishing to stand in front of, especially knowing your own work. He really is very exciting and yet so sad to see his artistic and personal life controlled by the political upheavals in Russia. Towards the end of his life he was arrested on charges of espionage and was imprisoned for 2 months. And at his funeral mourners waved flags with black squares on! Fabulous! !